Yogi’s gift of cooking was born innately within him from a long line of excellent cooks in the family. His mother was always in the kitchen preparing delicious Indian food. The craft has been passed down for generations with love. Yogi has lived all over the world exposing him to many different spices and cuisine. Yogi’s courageous and adventurous nature brought forth the eclectic and worldly blend of flavors he fuses together. This is how Yogi’s Indian Fusion Cuisine was born; and now we bring it from the mouths of our families to yours. Yogi’s cooking is an expression of love and service. Everyone who has stepped into his home as been sufficiently wined and dined with delectable mouth-watering food and embraced with love! 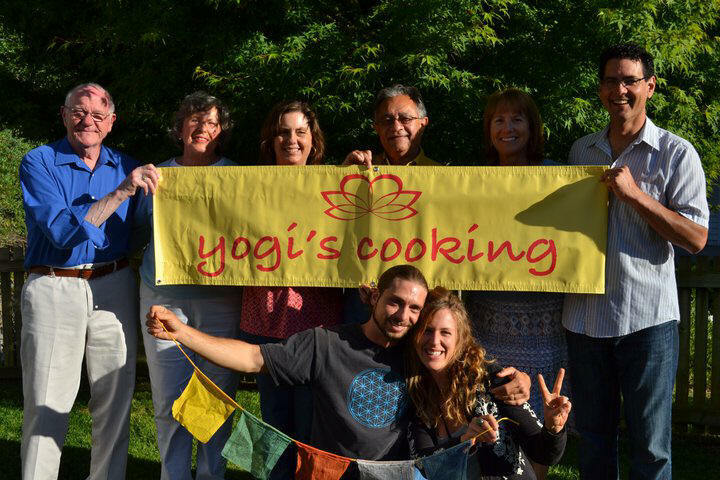 His desire to reach and impact more people has been the driving force of developing Yogi’s Cooking. We are a family owned and operated business always ensuring you fresh, quality and healthy food. We are dedicated to being in integrity to provide you with the best product for your health and well-being. Yogi, Kristi, Emily, Jacob, Mark Shaw family , Paul, Sharon and our extended family- Tim, John, Erika, Aaron,and Lucas!